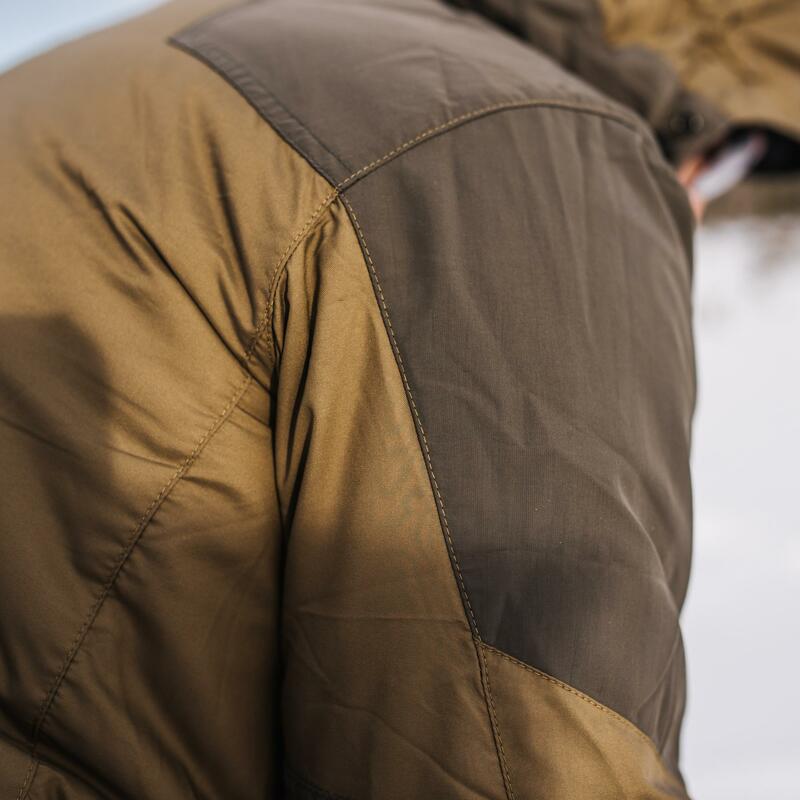 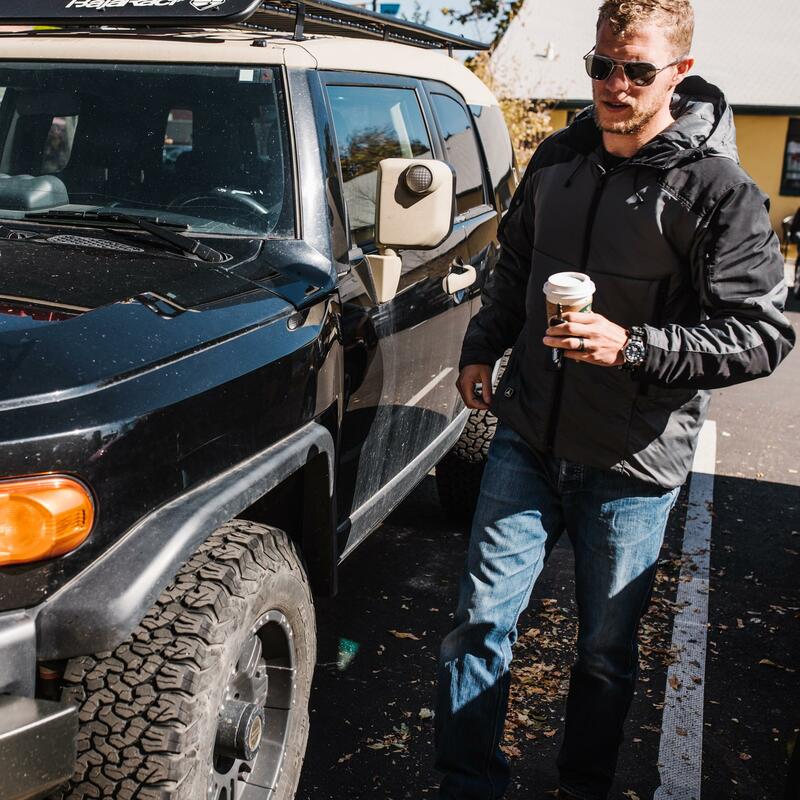 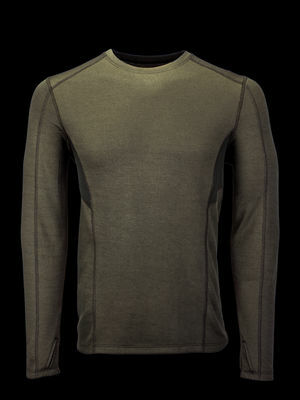 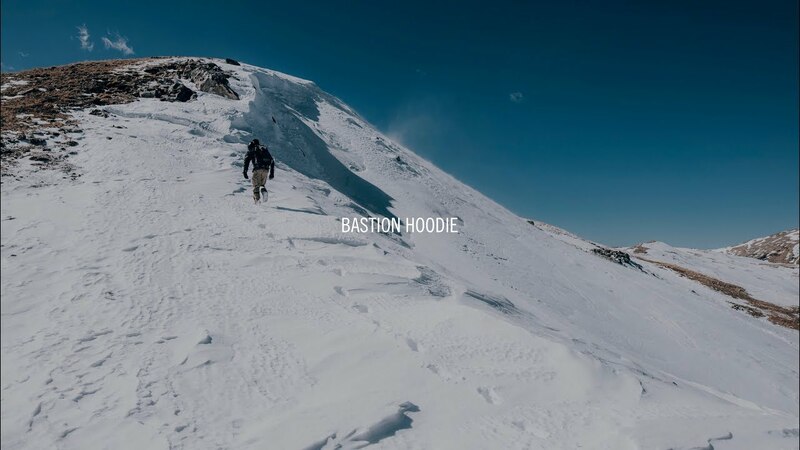 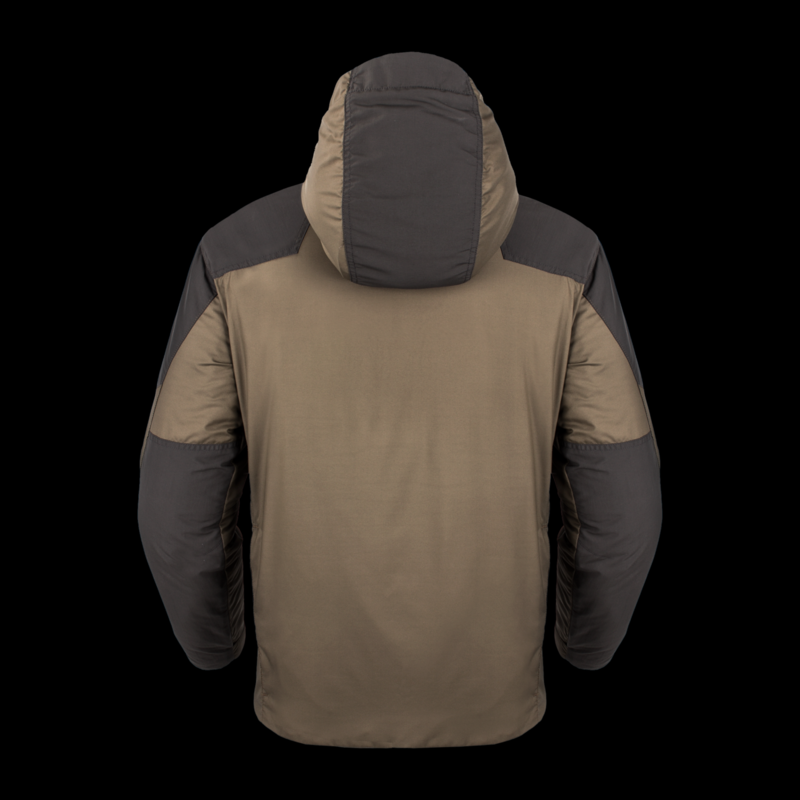 The Bastion Hoodie provides key fortification against frigid weather, allowing you to go further and stay longer. 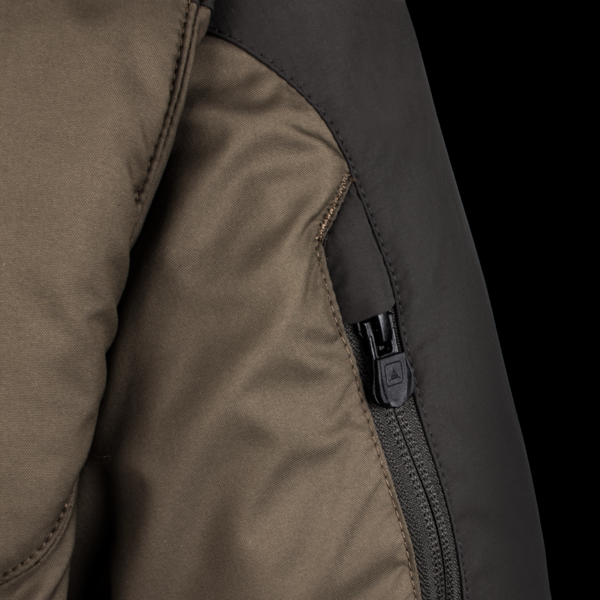 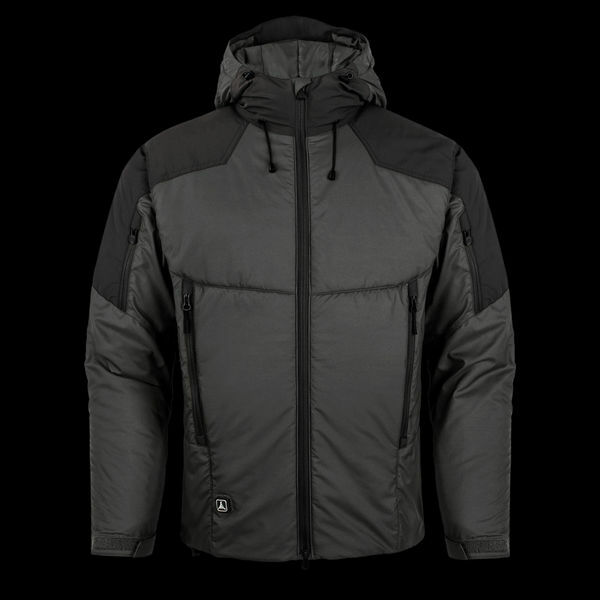 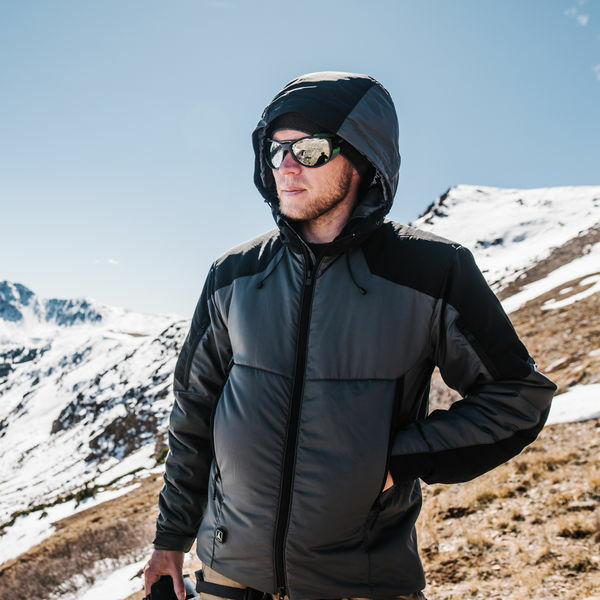 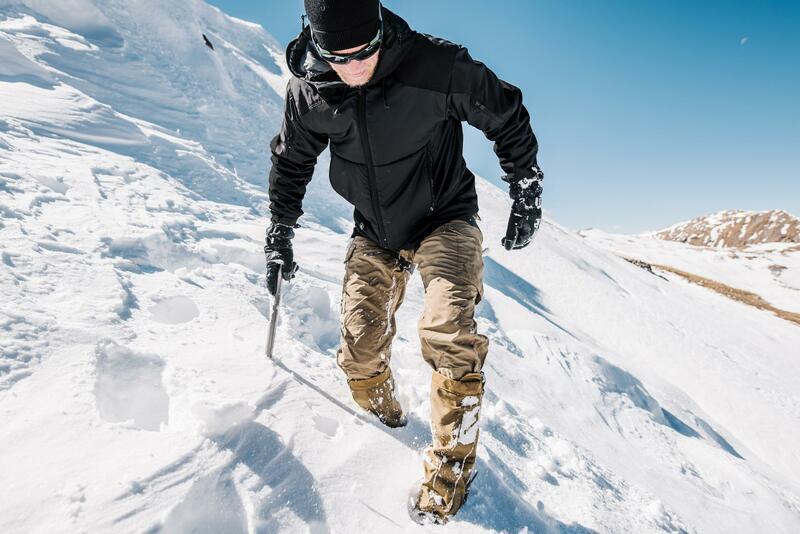 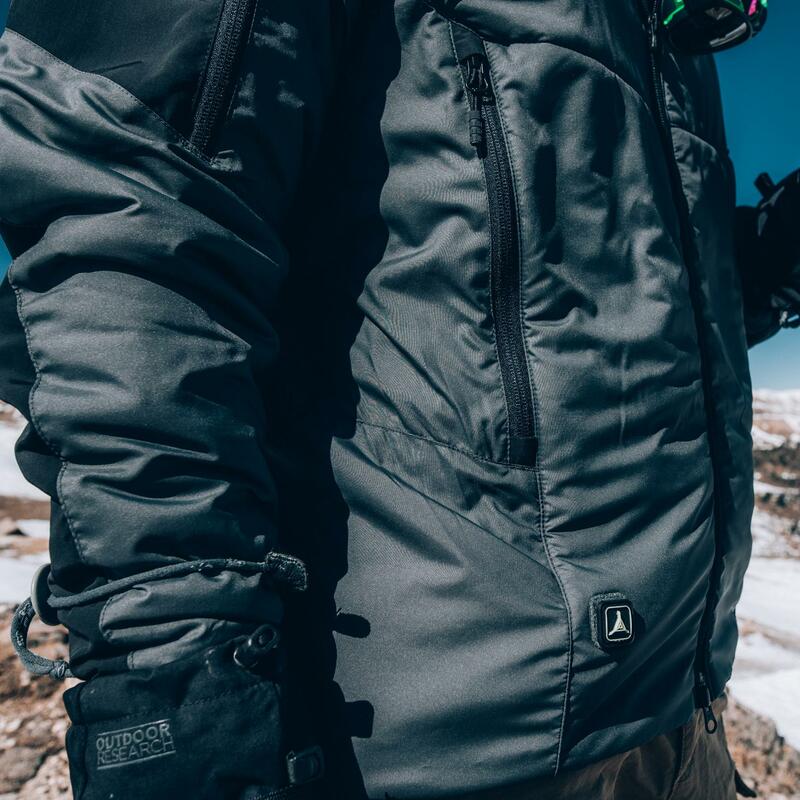 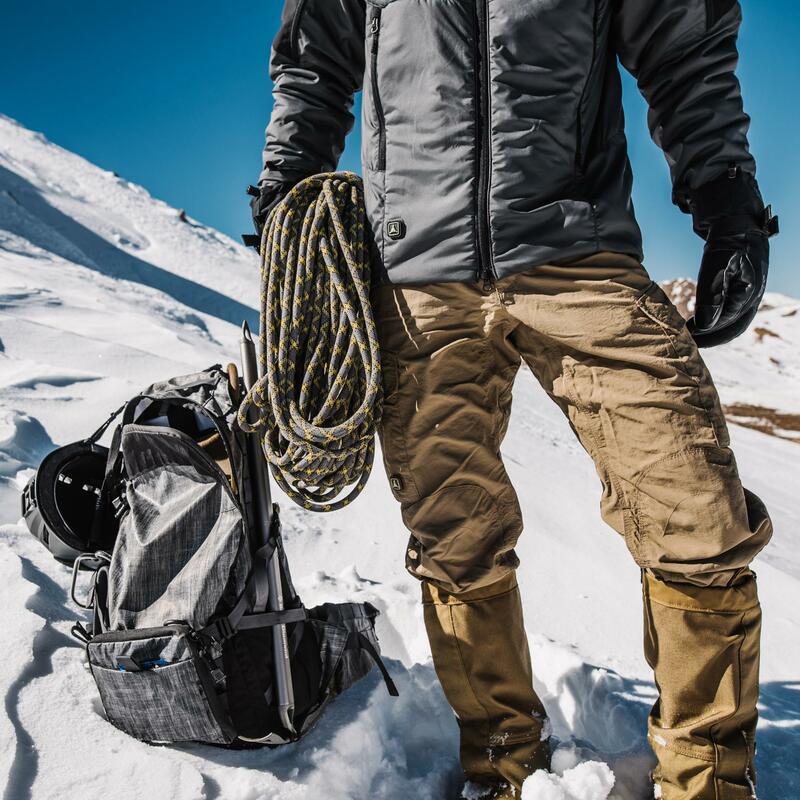 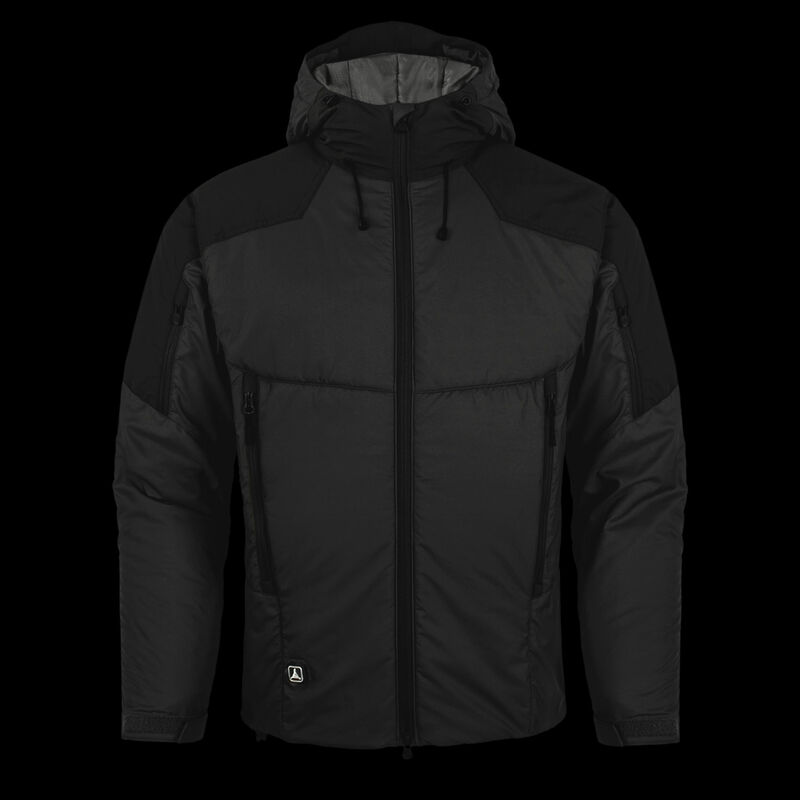 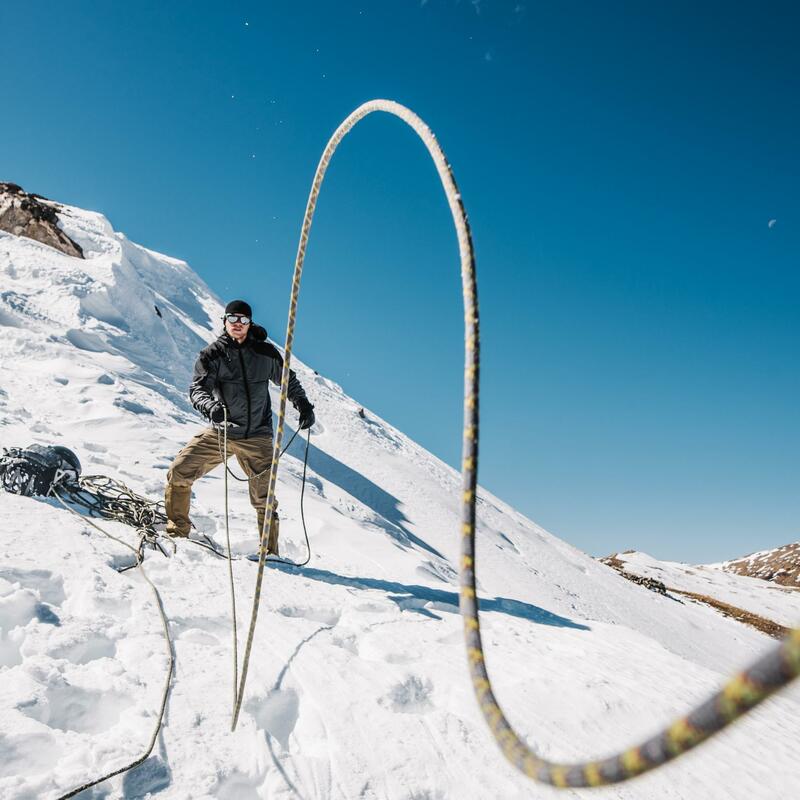 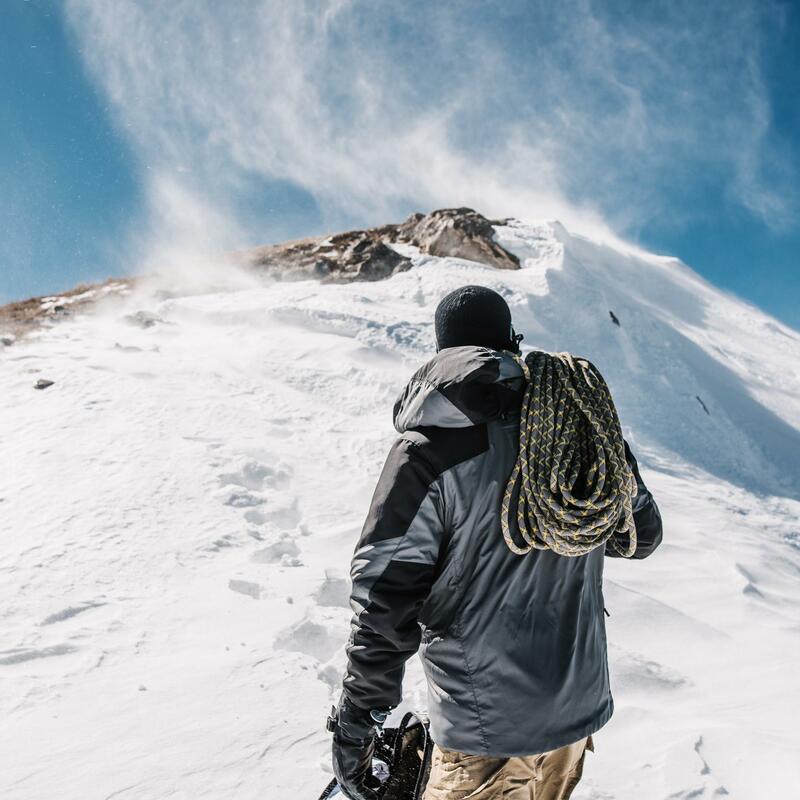 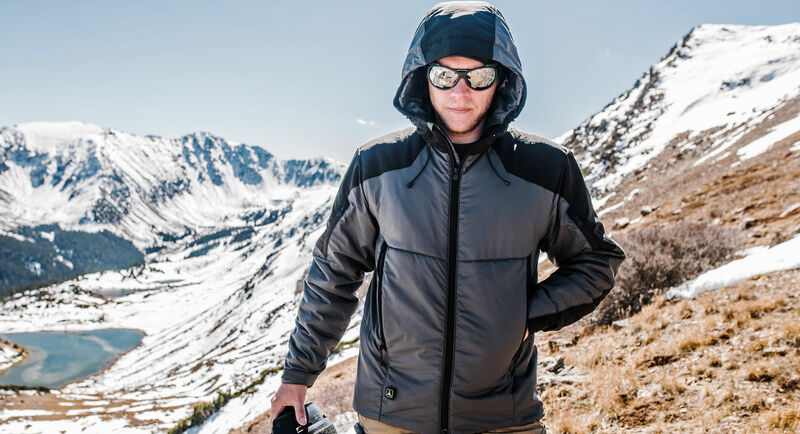 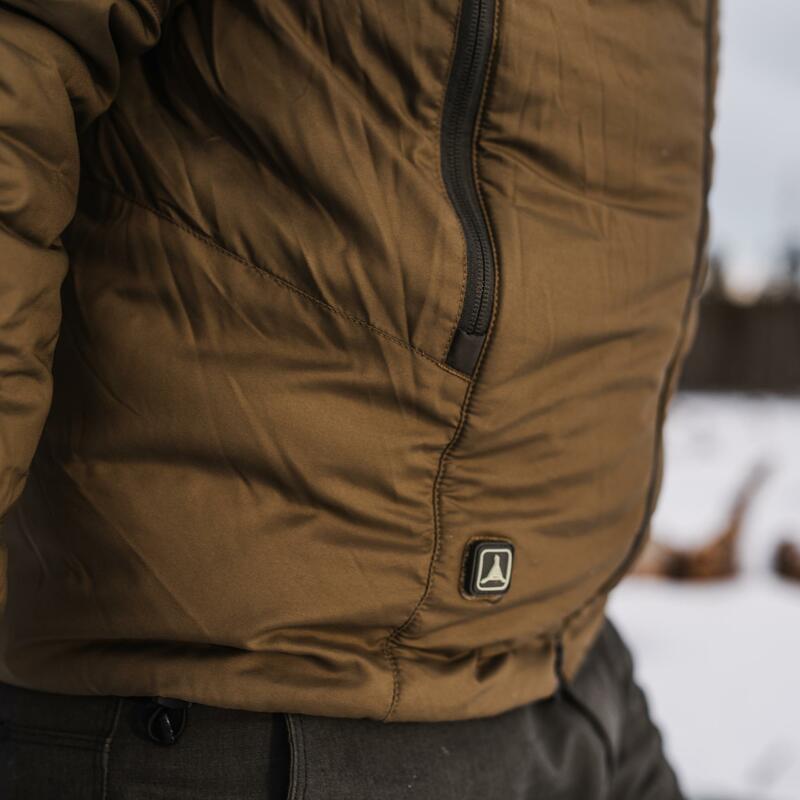 Made in the USA and insulated with Polartec® Power Fill™, Bastion evolves the classic belay jacket, maximizing heat retention with less bulk and weight. 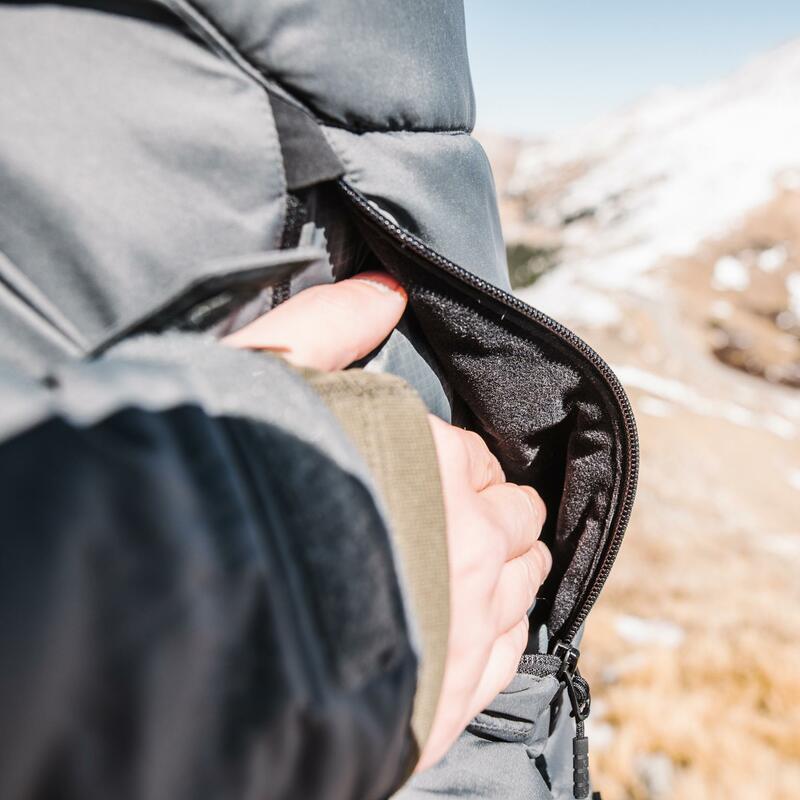 Stowed into its hunter's pocket until needed, Bastion provides instant shelter when the mercury drops. 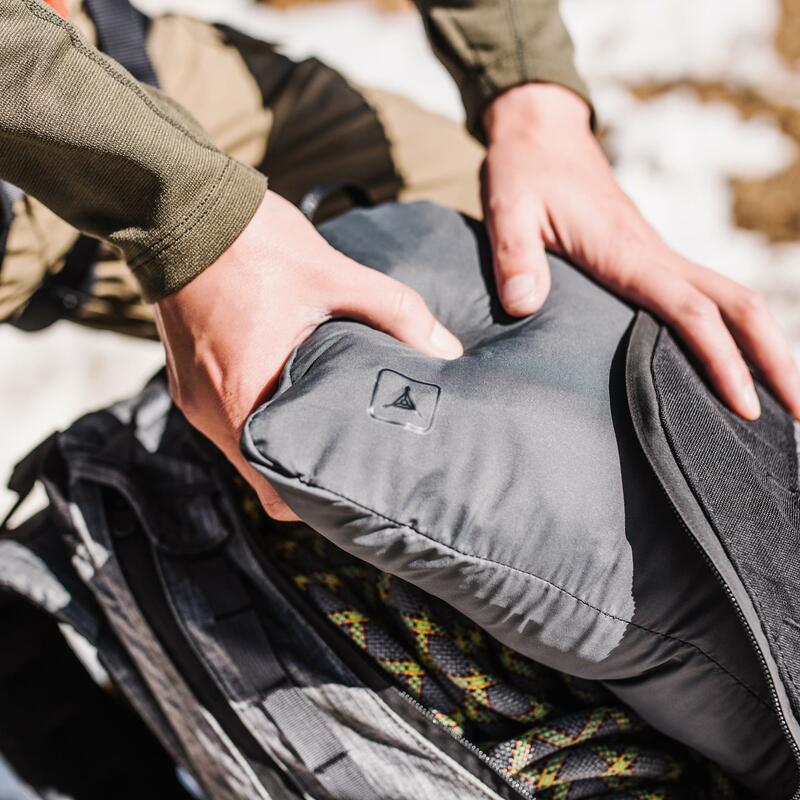 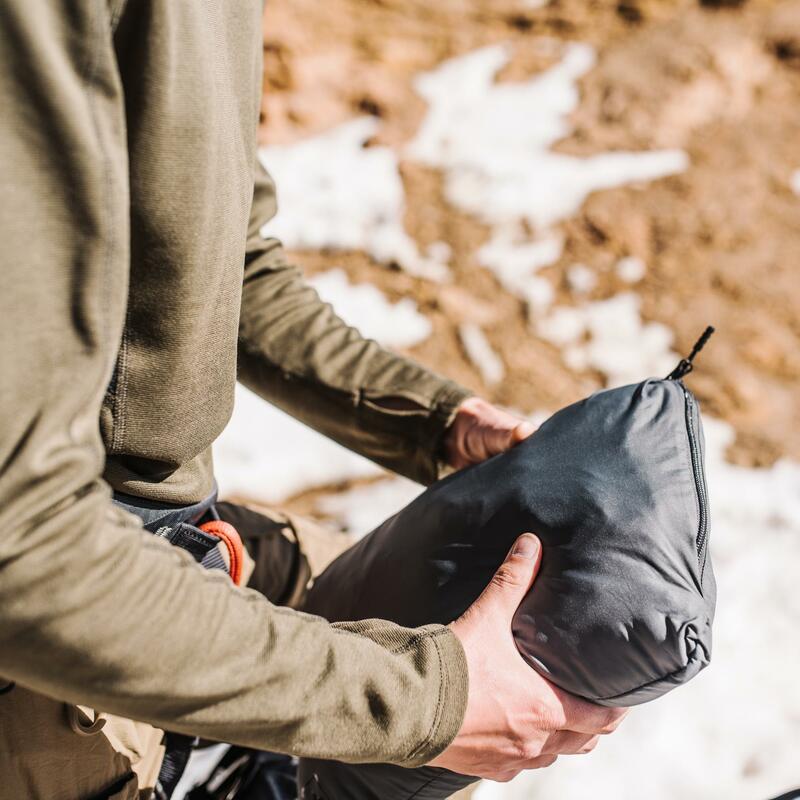 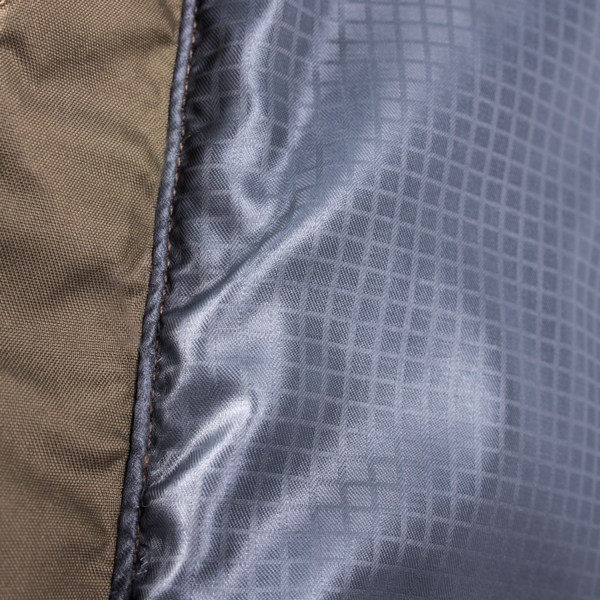 Power Fill's less-bulky insulation means that Bastion will layer more comfortably under a shell in cold, wet weather, and take up less room in your pack than other synthetic insulation. 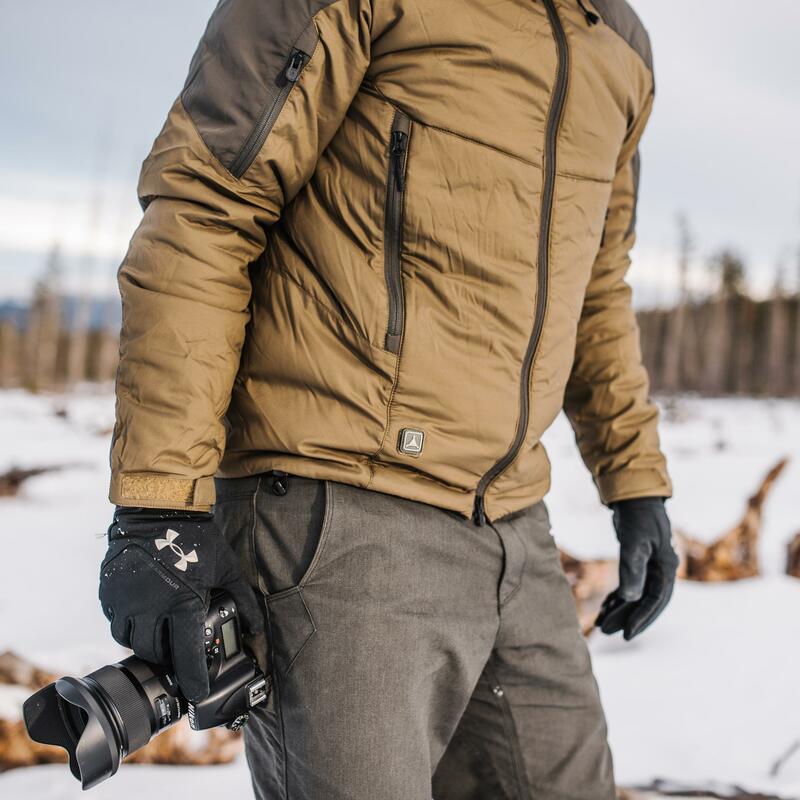 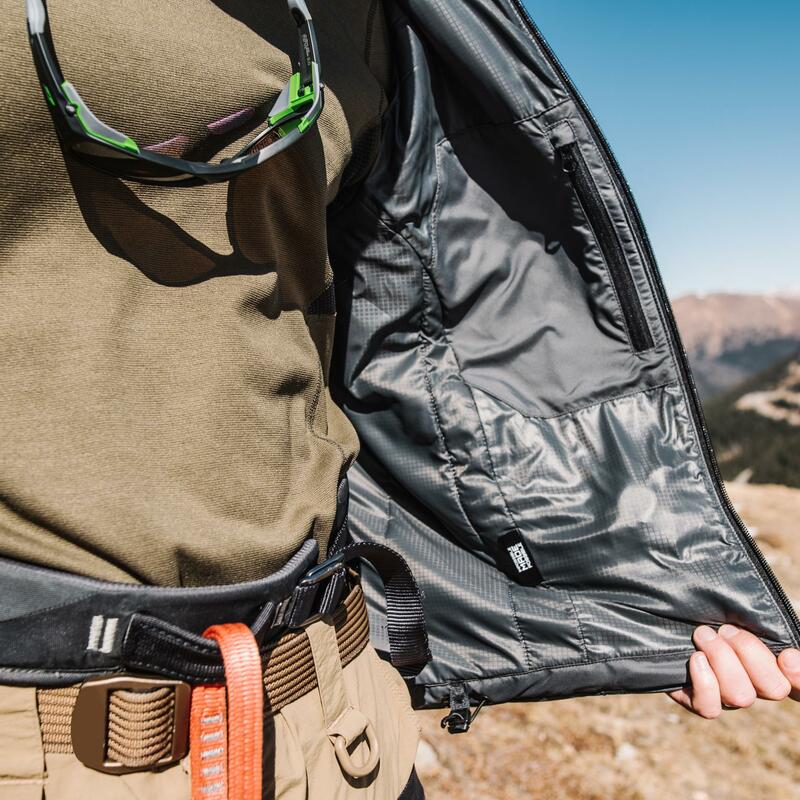 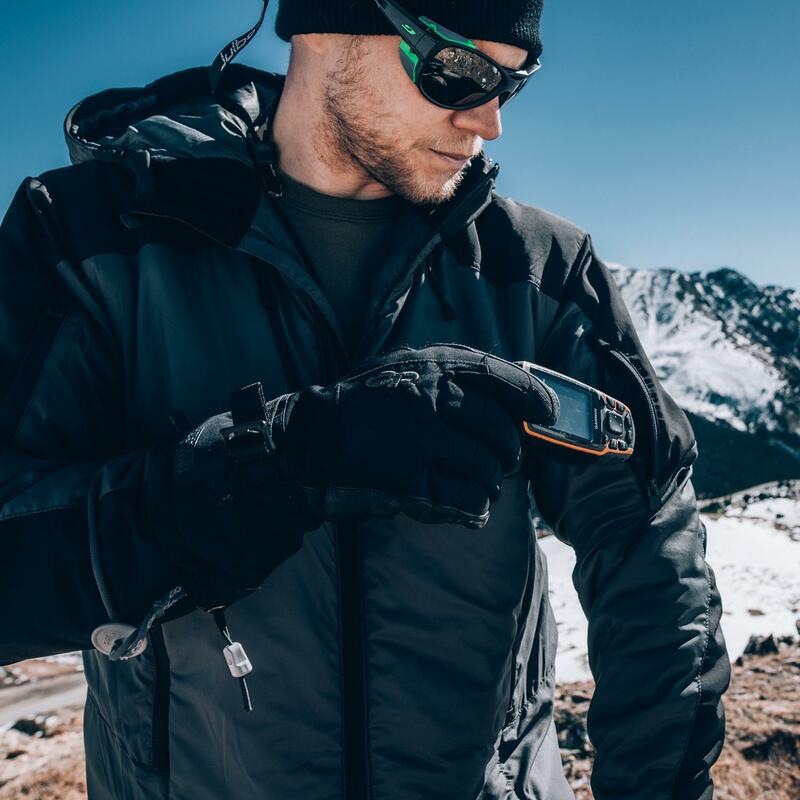 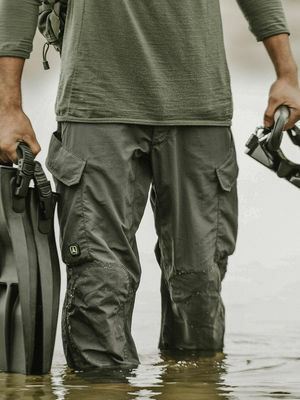 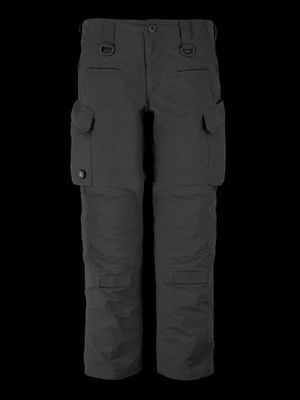 Dual waist-belt-compatible hand pockets, bicep pockets on both arms, and a single interior chest pocket offer secure storage for essential gear. 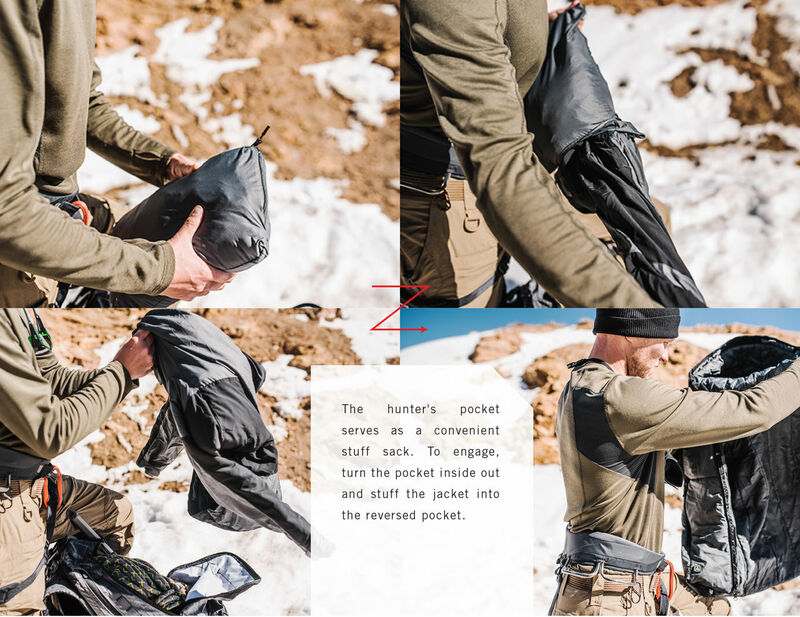 A single-entry hunter's pocket keeps gloves and hats close at hand, and also serves as a convenient stuff sack. 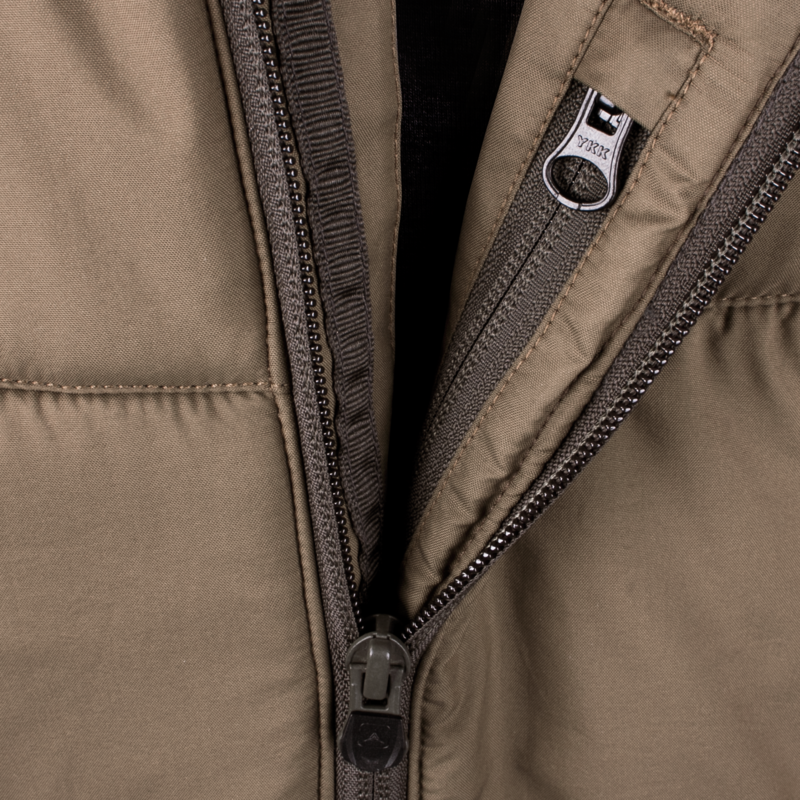 To engage, turn the pocket inside out and stuff the jacket into the reversed pocket. 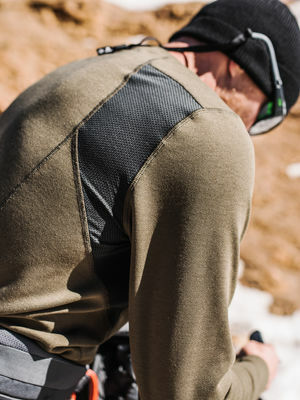 Augmented on the hood, shoulder, biceps and forearms with our legendary Amphibious Cloth, the Bastion Hoodie is built to excel in harsh conditions. 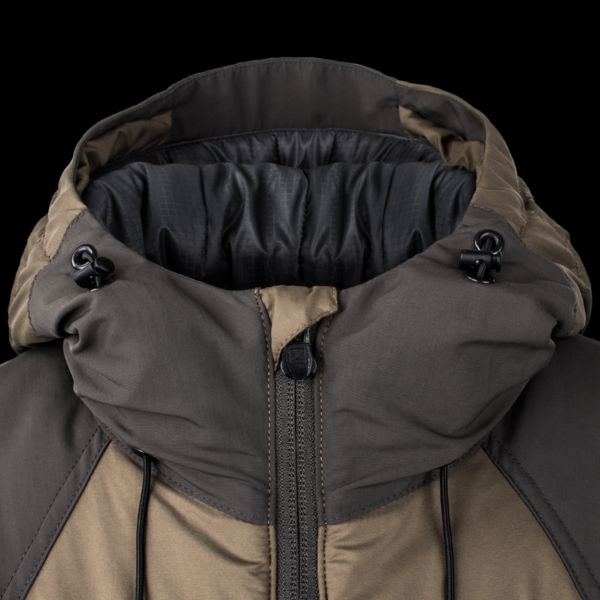 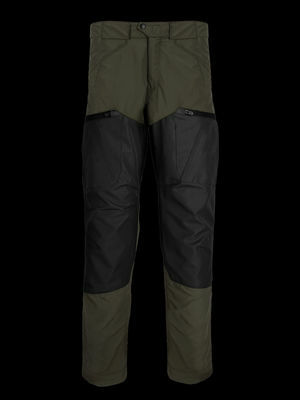 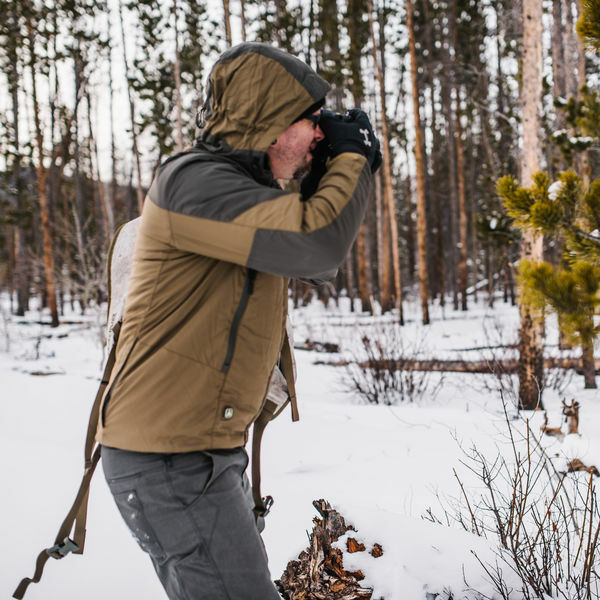 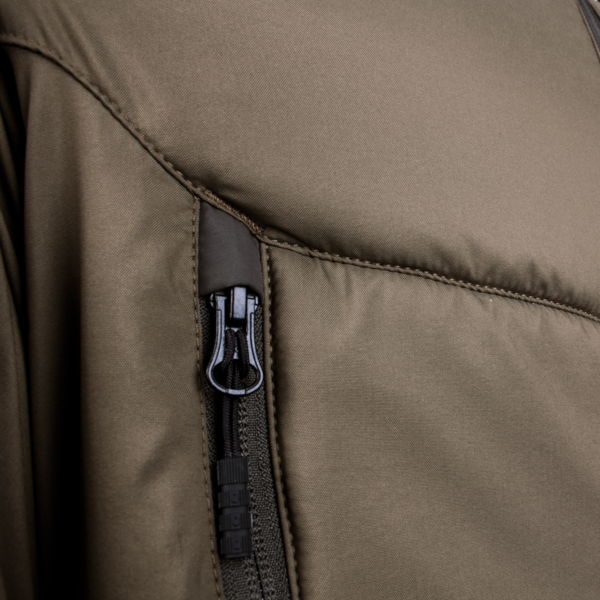 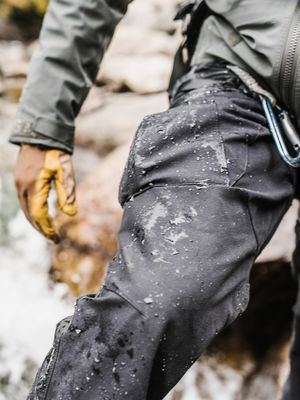 The DWR treated shell works in conjunction with the hydrophobic properties of Polartec® Power Fill™ to resist moisture absorption and dries quickly, while maintaining a high warmth to weight ratio. 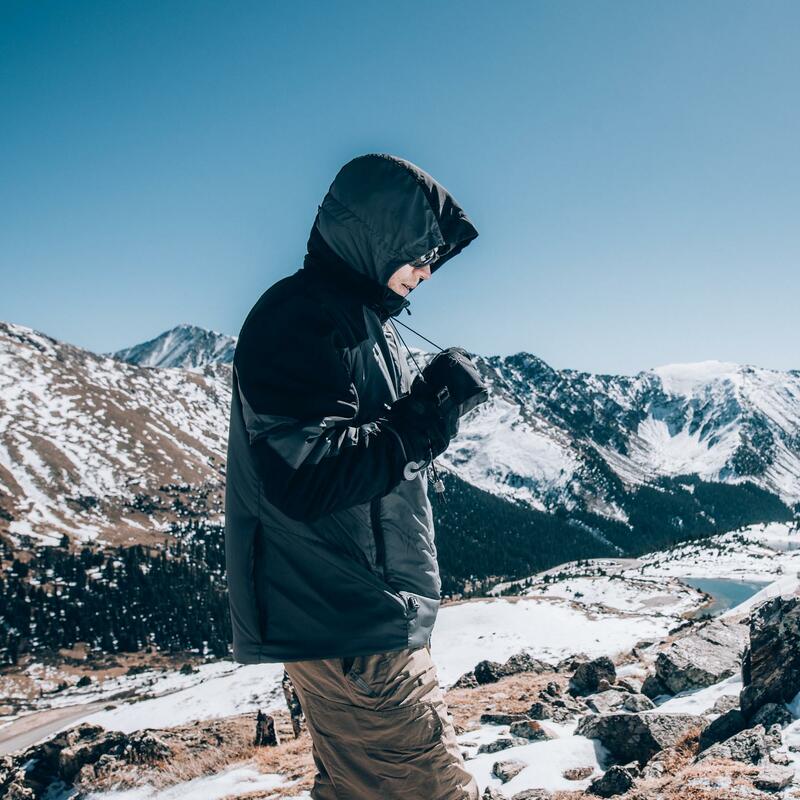 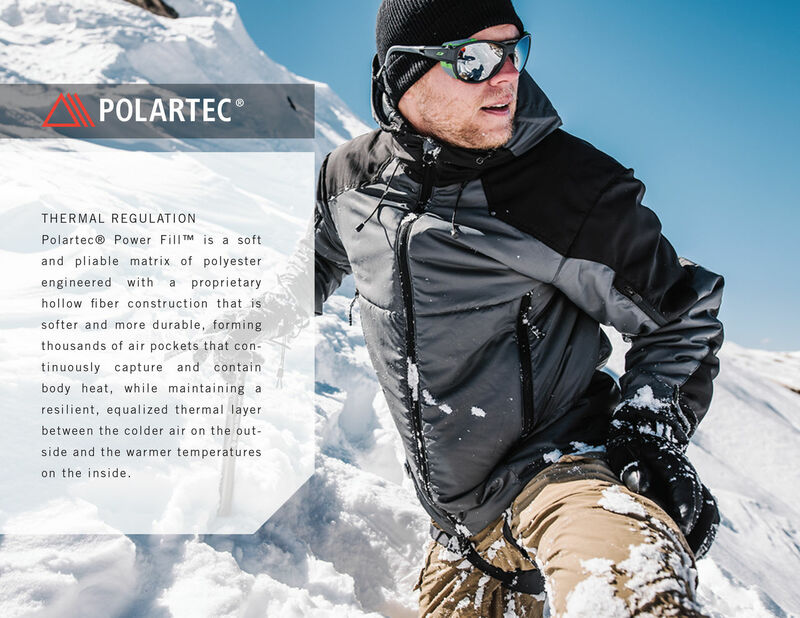 Made with industry-leading, cruelty-free, 80% post-consumer recycled content, Power Fill™ insulation technology provides greater warmth retention in colder conditions, without added weight or bulk.